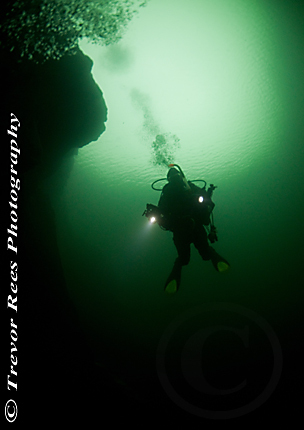 Diving in Hodge Close, a former slate quarry near Coniston in the Lake district. Photo taken in Hodge Close, a former slate quarry near Coniston in the Lake district. Thanks to Worcester Divers and in particular to buddy and model Anita Sherwood.